Danish Power Systems’ CEO Hans Aage Hjuler was invited to the P4G Summit in Copenhagen 19-20. October 2018. P4G – Partnering for Green Growth and the Global Goals 2030 – is a new, innovative and ambitious coalition of nations, businesses and green frontrunners who have come together to accelerate the green transition and realize the 2030 SDGs through public-private partnerships. At the first ever P4G Summit in Copenhagen, an impressive array of Heads of State and Government and international green growth pioneers from both the public and private sector were gathered to promote, develop and accelerate market-driven public private partnerships for a cleaner and more prosperous future for everyone. 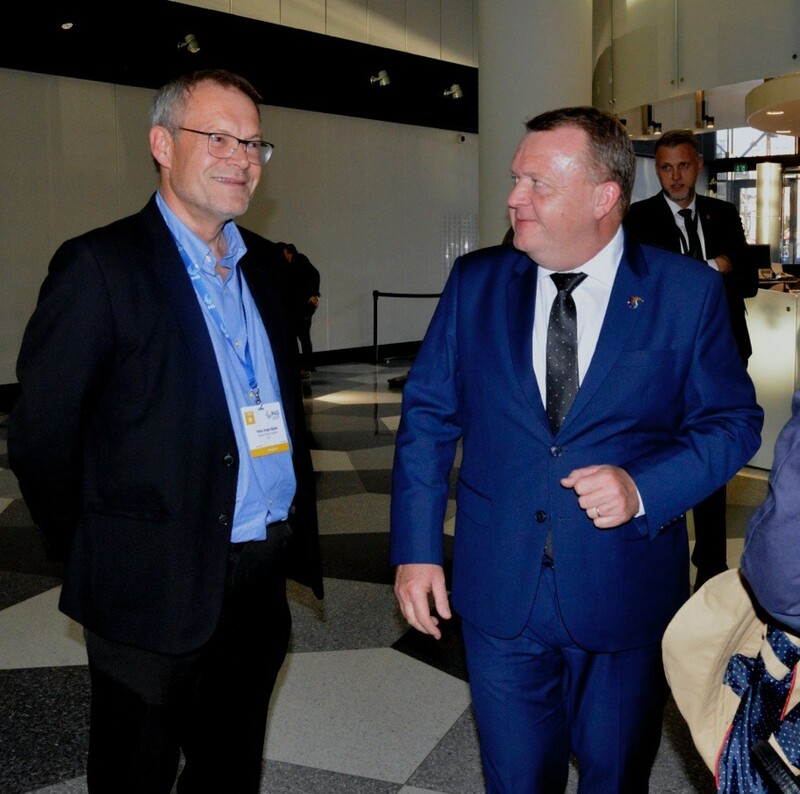 Hans Aage Hjuler had the opportunity to discuss energy issues with Danish Prime Minister Lars Løkke Rasmussen during the Summit. Prime Minister of Denmark Lars Løkke Rasmussen in discussion with Hans Aage Hjuler, CEO of DPS.